However; everyone wants to know how good their season was. The overwhelming majority of owners and managers will immediately think of revenue or profitability…and rightly so. How else will you stay in business? A definition of success though is, “the accomplishment of an aim or purpose”. This is a broader view than how profitable a company was monetarily. I am sure that most managers and owners do look at the big picture and I wanted to define a few areas that should always be considered when determining how good of a season your business really had. Is the Business Owner Happy?– Everything starts at the top…or something to that effect. If the owner is happy then they are more likely to be engaged and motivated with the business. Is the owner satisfied with the direction of the company? 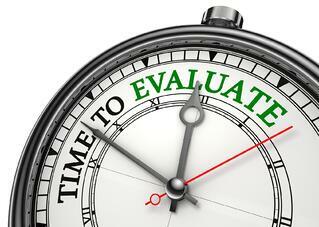 The owner should be constantly assessing and evaluating their business. What can be improved upon even if the year was profitable financially? Are your Employees Happy? - I believe this to be probably the most critical part of the assessment. “Happy” is such a loose term to describe employee morale and satisfaction. One common term that is used is culture. What was your culture like? Take a closer look at the conditions and wages that your staff are working under. Can an owner improve in this area? How did employees work with clients? Consider a season ending exit interview, as well as party to recognize a job well done. Are your Owners Happy? Don’t forget to check in with your other clients, your homeowners. Now might be a great time to send out a survey to your Homeowners asking them for feedback about how they felt about the season. Better yet, host an event over Columbus Day weekend and talk with them in person. Now is the perfect time to make adjustments in your procedures to discourage attrition to your competitors. Are your Vendors Happy? Were you able to pay your vendors efficiently throughout the season? Did you have good communication and effective procedures? Now is the time to improve or revamp how you work with vendors so that they always respond to you when you and your owners need them. How did you stand out from the competition this year? Are you looking at your competition? Be sure to really think about how you might be more innovative for your guests, and at the same time add ancillary revenue. Does it make sense to partner with a vendor in the area to offer added value? What about your customer service? How did you perform with your social media initiatives? Take your brand pulse on the social media platform. Now is the time to really take a look at the reviews, the feedback, and any type of outstanding issues that may have been left unresolved. Also bask in the glory of getting those excellent responses, you deserve it! Did you grow your potential future guest list? Keep assessing this area it is the future of your company. Also how did you do on the goldmine that is returning guests? Be sure to keep making them a priority. How did your team do on converting reservations? Did your Reservations Sales team convert at the percentage you were expecting? How did your online conversions do? Were you able to track them? The goal of any business is to be profitable, but profit can be looked at in a more holistic or comprehensive view for a business. True success is rooted in the systems and people that are put in place. Taking the time to evaluate and improve in all facets of a business gives the best chance at success each and every season.